All aboard, chocoholics! 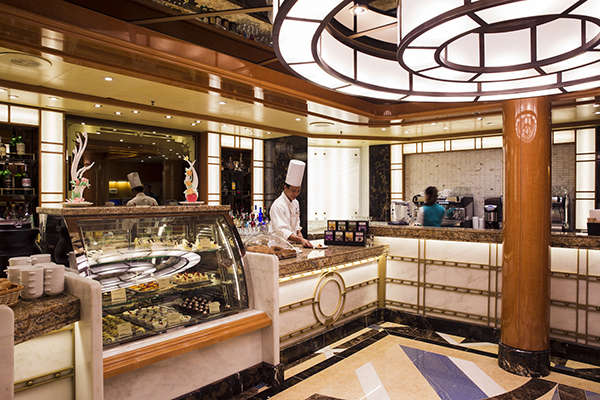 Princess Cruises have something that will put your tastebuds in a state of ecstasy. Internationally acclaimed chocolatier and pastry designer Norman Love has come together with Princess Cruises to offer passengers “The Chocolate Journey” where they’ll be treated to large on-board selection of exquisite chocolates, custom crafted desserts and wine pairings as well as a selection of chocolate drinks. But wait, there is more! Passengers will also have the opportunity indulge in a chocolate spa, using a chocolate renewal scrub, wearing a whipped chocolate body mask and have the opportunity of being massaged in chocolate oil. Since making an impact in 2001, Norman Love has been named one of the 10 best chocolatiers in the world by National Geographic and one of the 10 most influential pastry chiefs in the world by the international congress. Debuting in North America’s fall on the Regal Princess, ‘The Chocolate Journey’ will roll out on the remainder of the fleet throughout 2015. My buds are already watering!